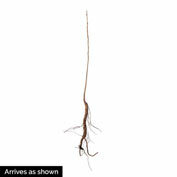 Butternut Tree | Gurney's Seed & Nursery Co. The butternut, also known as the white walnut, bears tender nuts with a rich, sweet, buttery flavor even after enduring subzero temperatures! One of the hardiest of all nut trees, butternuts grow 40-60 ft. at maturity and have attractive light golden wood, which is popular for paneling and furniture. 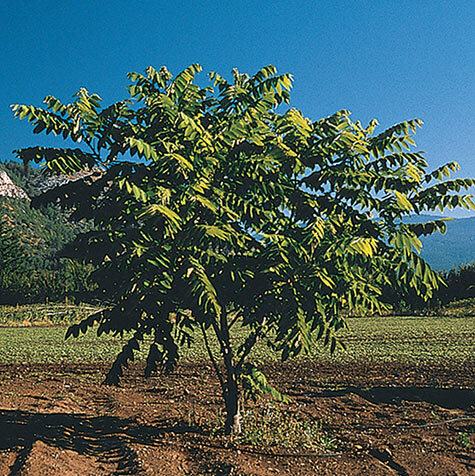 This native of North America also makes an attractive shade or landscape tree, with its rounded form and dark green foliage. Plant two or more for pollination purposes. Spacing: 40 - 60 feet. Pollinator: Plant two or more for best pollination. Yield: Approximately 1 - 3 bushels at maturity. Foliage: Medium green compound leaves turning yellow in fall. Fruit: Dropping clusters of large, egg-shaped nuts. Flower Form: Insignificant - male catkins; female flower spikes. Soil Requirements: Well-drained, rich, moist, deep soil. Comments: Rough, thick, shells terminate in a sharp point. Distinctive, rich, oily, buttery flavor. Has the ability to succeed in poor soils. Somewhat self-pollinating but best to plant in groups of 2 or more. Easy to shell nuts. 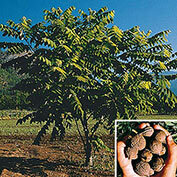 May secrete juglone as it is a member of the walnut family.